The basic goal of orthotic management is to improve toe clearance during swing and provide stability during stance, but new technologies—from energy-storing composites to functional electrical stimulation—do much more. “Drop foot” is a condition affecting the lower limb where there is insufficient ability on the part of the individual to adequately dorsiflex or pick the foot up, characterized by equinus during the swing phase of gait. Drop foot gait or high-steppage gait is often characterized by excessive hip and knee flexion along with uncontrolled plantar flexion of the foot after heel contact. Poor toe clearance during swing can increase a patient’s risk of tripping or falling. In addition, excessive equinus may predispose the affected foot to initiate contact with the toe rather than the heel, and the resulting altered gait pattern can also contribute to the risk of injury or falls. The symptoms of drop foot can be caused by weakness of the muscles controlling dorsiflexion of the foot (tibialis anterior, extensor hallucis longus, and extensor digitorum longus) or injury to the nerves controlling the muscles. “Drop foot” itself is not a disease, but a symptom of another underlying cause. This condition is associated with a wide variety of diseases and disorders, including cerebrovascular accident or stroke, traumatic brain injury, spinal cord injury, spinal stenosis, disc herniation, multiple sclerosis, poliomyelitis, diabetes mellitus, or direct injury to the peroneal nerve. Regardless of the mechanism of injury, treatment of drop foot typically involves bracing with an ankle foot orthosis, or AFO. The goal of orthotic management is to provide toe clearance while the affected limb is swinging and stability while the affected foot is on the ground. 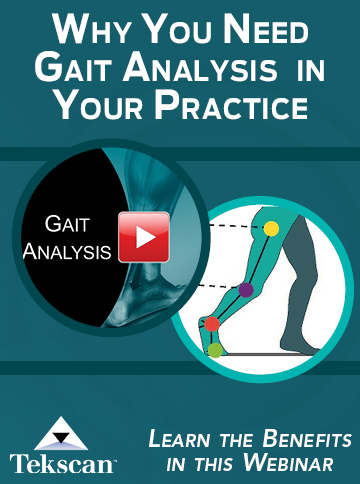 The AFO functions by limiting the speed at which the foot plantarflexes during loading response (foot slap) and prevents the foot from dropping during the swing phase of gait (drop foot).1,2 This prevents the toe of the foot from coming in contact with the floor and decreases the risk of stumbling. Recent developments in functional electrical stimulation (FES) over the past several years have led to the emergence of neuroprosthetic devices, which provide electrical stimulation to the nerves that control the dorsiflexor muscles. The first use of a transcutaneous peroneal nerve stimulator to improve a gait pattern in a stroke patient was reported in 1961;6 since then, several other techniques for stimulating the peroneal nerve have been developed.7-9 The fundamental techniques used in these initial devices are strikingly similar to devices available today. Improvement in electronics and manufacturing processes allowed for the production of smaller, faster, and more efficient devices. For example, the original device used a foot switch, similar in function to that of today’s devices but connected to the controller using a wire; modern versions utilize remote sensors. The development and application of neuroprosthetic devices continues to advance as the body of research grows. As the devices are used in clinical settings and familiarity improves, improved patient training protocols will develop. More evidence based research with large subject populations investigating the performance of these devices is still needed, especially in terms of long-term effects. Future developments include incorporating functional electrical stimulation into conventional orthotic devices to provide improved function in daily activities. As technology continues to develop and manufacturing processes continue to improve, the devices themselves will get smaller, more efficient, and more durable. Implantable electrodes are being investigated as a means of improving accuracy of electrode placement and eliminating patient difficulties in correctly donning the existing devices. Surface electrodes reside on the surface of the skin and require nothing more than a method to maintain contact with the skin. 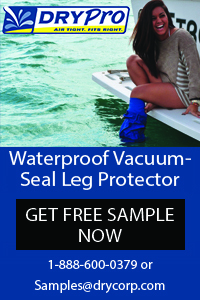 Contact can be maintained by body adhesives or through the use of a strapping material. All implantable electrodes require some sort of separate surgical procedure to attach the electrodes to the body, which helps to promote accurate placement of the electrode and ensure the maximum effect. Several different styles of implantable electrodes exist15: percutaneous intramuscular, implantable intramuscular, epimysial, and nerve cuff electrodes. Percutaneous intramuscular electrodes are typically inserted through the skin by hypodermic needle and rest within the muscle belly. These electrodes are typically used for research and experimental situations, as they are not as durable as other implantable types. Implantable intramuscular electrodes are a more durable version of the percutaneous intramuscular electrode, mostly due to a more robust design. Epimysial electrodes are sewn directly to the surface of the muscle. Nerve cuff electrodes stimulate nerve cells by surrounding the cells circumferentially. Neuroprosthetic devices in their current form have demonstrated to be at least as effective as AFOs for the treatment of drop foot. Issues with cost still provide a significant hurdle to overcome, especially in today’s healthcare scene. As the body of research grows supporting the devices grows, so will acceptance. Jeremy Farley, CPO/L, is a clinical prosthetist for Fillauer in Chattanooga, TN. 1. Lin RS. Ankle-foot orthoses. In: Lusardi MM, Nielsen CC, eds. Orthotics and Prosthetics in Rehabilitation. Boston: Butterworth Heinemann;2000:159-175. 2. Ounpuu S, Bell KJ, Davis RB 3rd, DeLuca PA. An evaluation of the posterior leaf spring orthosis using joint kinematics and kinetics. J Pediatr Orthop 1996;16(3):378-384. 3. Michael JW. Lower limb orthoses. In: Hsu JD, Michael JW, Fisk JR, eds. 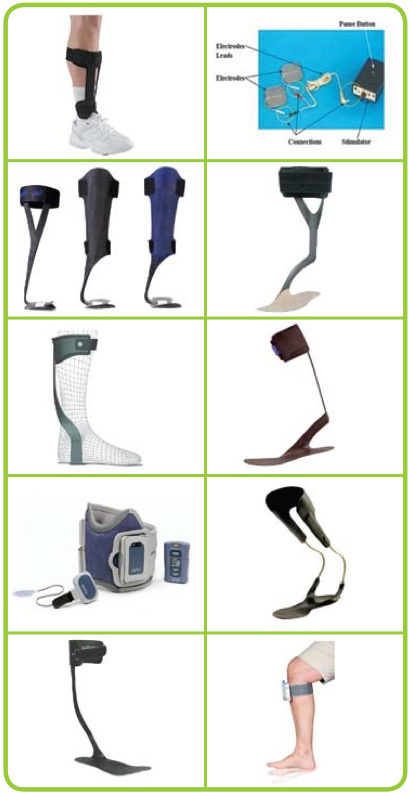 AAOS Atlas of Orthoses and Assistive Devices. 4th ed. Philadelphia, PA: Mosby Elsevier; 2008:343-355. 4. Wolf S, Knie I, Rettig O, et al. Carbon fiber spring AFOs for active push-off. 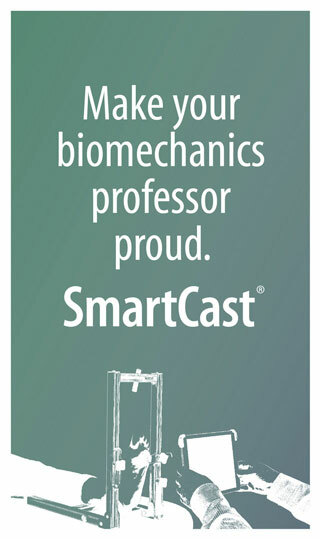 Presented at the Gait and Clinical Motion Analysis Society 10th Annual Meeting, Portland, OR, April 6-9, 2005. 5. Alimusaj M, Knie I, Wolf S, et al. [Functional impact of carbon fiber springs in ankle-foot orthoses.] Orthopade 2007;36(8):752-756. 6. Lieberson W, Holmquist H, Scot D, Dow M. Functional electrotherapy: stimulation of the peroneal nerve synchronized with the swing phase of gait of hemiplegia patients. Arch Phys Med Rehabil 1961;42:101-105. 7. Lyons GM, Sinkjaer T, Burridge JH, Wilcox DJ. A review of portable FES-based neural orthoses for the correction of drop foot. IEEE Trans Neural Syst Rehabil Eng 2002;10(4):260-269. 8. Haugland MK, Sinkjaer T. Cutaneous whole nerve recordings used for correction for footdrop in hemiplegic man. IEEE Trans Rehabil Eng 1995;3(4):307-317. 9. Dai R, Stein RB, Andrews BJ, et al. Application of tilt sensors in functional electrical stimulation. IEEE Trans Rehabil Eng 1996;4(2):63-72. 10. Burridge JH. Does the drop-foot stimulator improve walking in hemiplegia? Neuromodulation 2001; 4(2):77-83. 11. Sheffler LR, Hennessey MT, Naples GG, Chae J. Peroneal nerve stimulation vs an ankle foot orthosis for correction of foot drop in stroke. Neurorehabil Neural Repair 2006;20(3):355-360. 12. Laufer Y, Hausdorff JM, Ring H. Effects of a foot drop neuroprosthesis on functional abilities, social participation, and gait velocity. Am J Phys Med Rehabil 2009;88(1):14-20. 13. Stein RB, Chong S, Everaert DG, et al. A multicenter trial of a footdrop stimulator controlled by a tilt sensor. Neurorehabil Neural Repair 2006;20(3):371-379. 14. Laufer Y, Ring H, Sprecher E, Hausdorff JM. Gait in individuals with chronic hemiparesis: One-year follow up of the effects of a neuroprosthesis that ameliorates foot drop. J Neurol Phys Ther 2009;33(2):104-110. 15. Pape KE, Chipman ML. Electrotherapy in rehabilitation. In: DeLisa JA, Gans BM, eds. Physical Medicine and Rehabilitation: Principles and Practice. 4th ed, Vol 1. Philadelphia: Lippincott, Williams, and Wilkins;2005:435-464. 16. Weingarden HP, Hausdorff JM. FES neuroprosthesis vs an ankle foot orthosis: the effect on gait stability and symmetry. Physiotherapy 2007:93(Suppl 1):S359. 17. Gorman PH, Alon G, Peckham PH. Functional electrical stimulation in neurorehabilitation. In: Selzer ME, Cohen L, Clarke S, Duncan PW, eds. Textbook of Neural Repair and Rehabilitation. Vol 2. Cambridge: Cambridge University Press, 2006:119-135. Due to an accident I have had drop foot since 1986. I will be 52 next month. I just ordered the workout program Insanity and am looking for an AFO that will accomodate my effort. The last time I wore an AFO was about 6 years ago when the fiberglass one I was given in 1986 finally broke. Since then I wear a cloth brace that has worked fine, but I am now looking to get back into running, Insanity, etc. Any recommendations would be very much appreciated.